Everett Police advises of increased vehicle prowls. Remember to remove personal property from your vehicle. 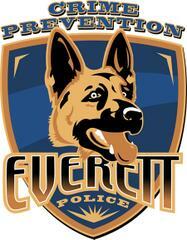 The Crime Prevention Unit would like to advise that vehicle prowls are increasing in Everett. This trend is due to the citizens leaving personal items inside their vehicles. ◊ Use a garage or secure location whenever possible. ◊ Park in well-lit areas where your car can be seen. ◊ Avoid isolated areas. Park near locations frequently used by pedestrians. ◊ If you hear something suspicious (shattering glass) or see someone looking into vehicles, call 911. ◊ Roll up the windows and lock all doors. ◊ Secure the trunk, hatches, bed-mounted tool boxes and canopies. ◊ Steering wheel locking devices are easy to install and inexpensive. ◊ Car alarms are convenient and effective - Especially if they disable the vehicle’s starter when activated. ◊ Install switches to interrupt the fuel supply or electrical systems. ◊ Locking gas caps deters fuel from being siphoned.